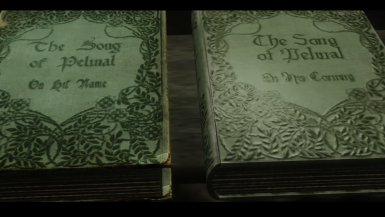 Book Jackets KOTN Only the esp is enough, otherwise overwrite the original textures and models with mine. Reading through comments to recent mods I came across this end-of-March-2019 discussion. 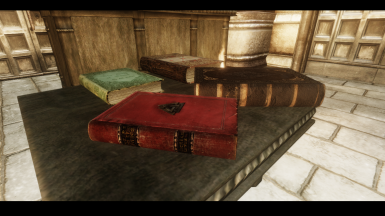 Since 1Mac and Oooiii are nice guys, and they had a point saying that KOTN books already show their age, here's a little surprise for them - and of course for anyone else who shares their admiration for an expensive, good looking bookshelf. 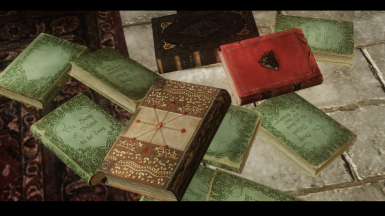 Now, I personally reckon that this new resolution (2048x1024) is slightly overkill for an in-game book cover (the original rob_b's covers which this mod is inspired by always looked good enough for me), but then there's only a few of these books around, and we all wanted some eye candy after all. 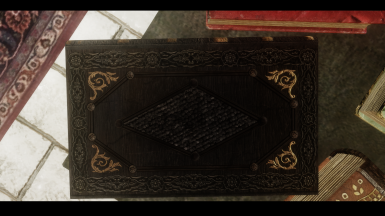 To benefit from these new textures you require the esp from Book Jackets KOTN. Without it you won't be able to see any changes. 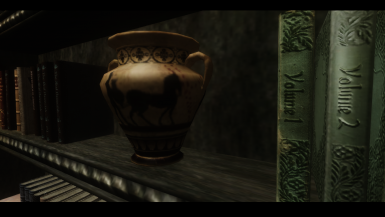 My mod simply updates that mod's models and textures so that they don't look 10 years old anymore. 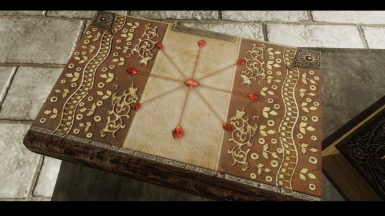 I made these textures from scratch (and modified UV layout - hence you need my nifs too), but I based the overwhelming majority of them on rob_b's original ideas as they seemed very nice to me. The only cover I based on Bethesda KOTN books rather than on Book Jackets KOTN is Knights of the Nine. This one resembles vanilla but with fireworks and sparkles brought by new technology. I also took a few liberties with Shezarr and the Divines, but kept it rather close to the color scheme of rob_b's version. 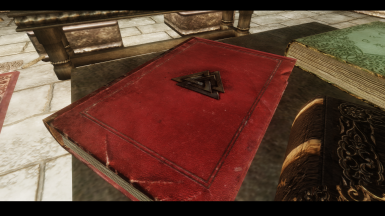 The piece of woolen fabric on the cover of Adabal-a is rumored to be a genuine fragment of Pelinal's cloak! To install, first you require the original esp from Book Jackets KOTN. (Don't forget to endorse that mod!) Then install my HD update. You can install the whole original mod as is, of course – and overwrite it with my files. 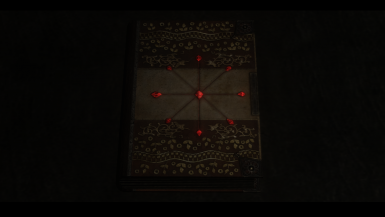 As a bonus I included a higher quality texture for side view of book pages (shared by all books in the game). If you don't like them, you can always revert to your backed-up files (you backed them up didn't you?) 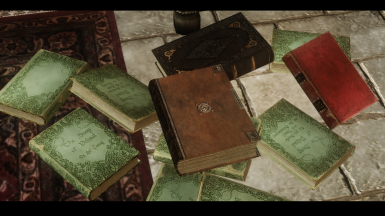 or to vanilla texture - the path you're looking for is Data->Textures->clutter->books->bookpages01.dds, and bookpages01_n.dds. National Library of Medicine's Medieval The Book of Food and Drink. I hope you enjoy this mod. If you have any questions or suggestions, please don't hesitate to comment, ask, or upload your images.